With autumn here and Halloween fast approaching, I couldn’t resist jumping on the Pumpkin Band Wagon! I wanted to make my very own pumpkin, with some nice detail and texture. Luckily for me I had just purchased a gorgeous Paintbox yarn colour pack called ‘Fallen Leaves’. As you can imagine, it was made up of really wonderful autumnal colours including perfect shades of orange and green. I thought I’d share my pattern with all you lovelies! 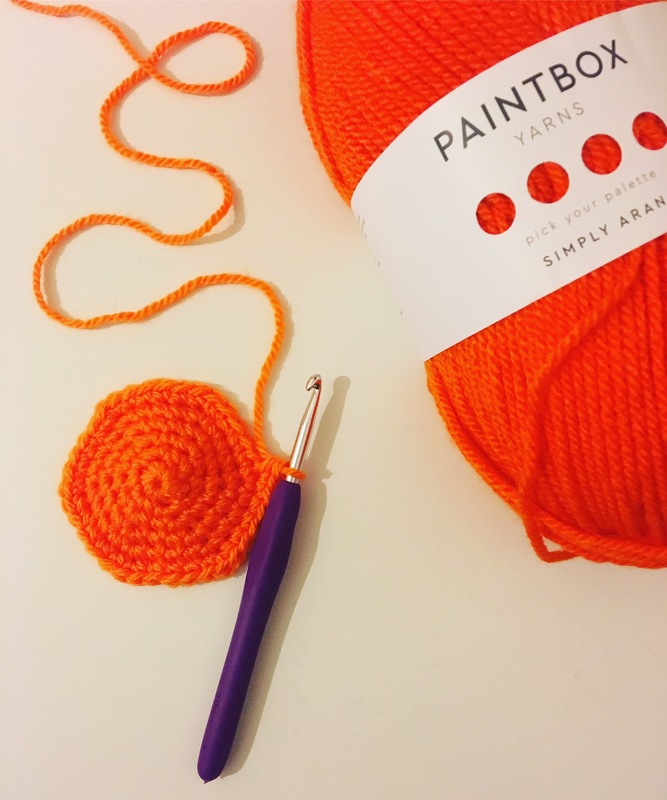 All you’ll need is some orange and green yarn. The correct hook for your desired yarn and a darning needle. You should now have a very cute looking orange ball! These are the little textured sections that go around the pumpkin, to give it some more detail and shape. 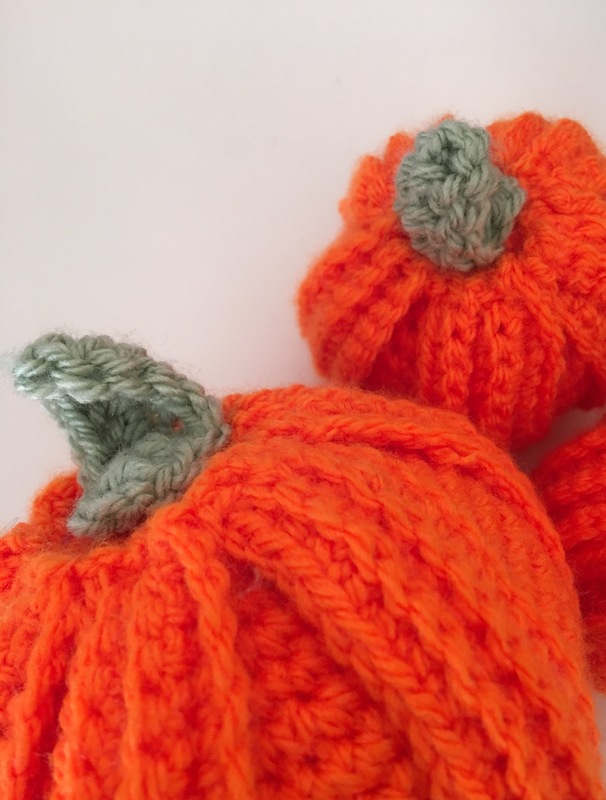 Make enough of these to cover your pumpkin. On this particular size, I made 5. 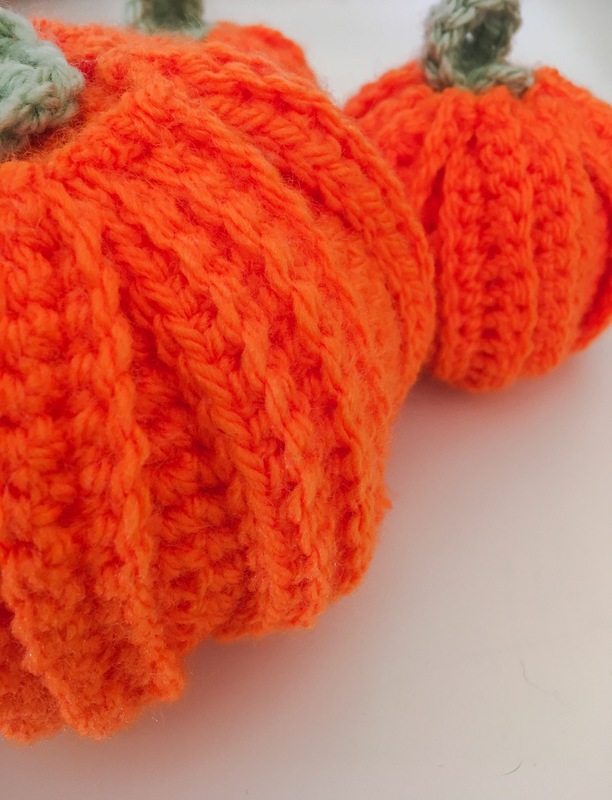 Make a chain that is as long as the distance from the top of the pumpkin to the bottom. Then complete a back loop treble crochet to create several rows to the desired width. 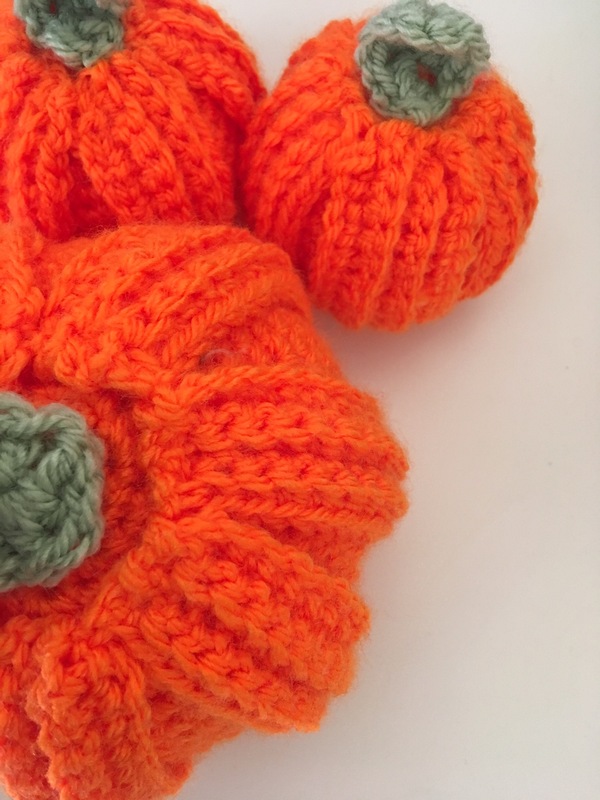 Sew these patches onto your pumpkin, making sure they are equally spaced from one another. For ease of sewing I suggest pinning all the parts in place and sewing them from there. You should now, in theory, have a very cute little pumpkin! I hope you enjoy having a go at making this cute little pumpkin, and if you do, I’d love very much to see your lovely creations!